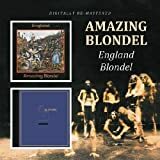 For about a quarter century, this was the only legitimate live recording available by Amazing Blondel. Even when "A Foreign Field" was released, a look at the track lists reveals not a single common tune between them. 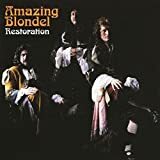 This is because John Gladwin left several years before "Live in Tokyo" was performed, and by that time the band was more Blondel than amazing. They had their own repertoire featuring Eddie Baird as primary vocalist, and, while the focus was still on gentle romance, it was mostly fast forwarded to the present day, and showed more of a Beatles influence. Gladwin had such a bardic quality to his voice that his loss had to be felt in reduced distinctiveness. Given the above, it is thus surprising how enjoyable this live recording is, and sad that it, like all but one of the 3 preceding studio albums, has never seen a proper CD release. 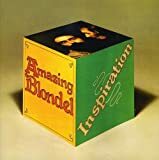 The duo performs well chosen samples mostly from "Blondel" and "Mulgrave Street", which are naturally sparer than originals, and it suits them well. The orchestration adds more class than anything. To add to the enticements, "For our Love" is previously unreleased and fits in well with the rest of the material. Versions of "Lesson One" and "Sad to See You Go" are actually better than before, while "Leaving of the Country Lover" is just different, almost like a new song. The theme of leaving for the foreign wars had been explored early in the Gladwin days, so this latter day tune shows that Baird and Wincott were not about to abandon their routes...yet. While "Live in Tokyo" does not contain the generally regarded classics of this band, it is an effort that does the band justice, and could serve as a sampler for the 1974-1976 period of the group. 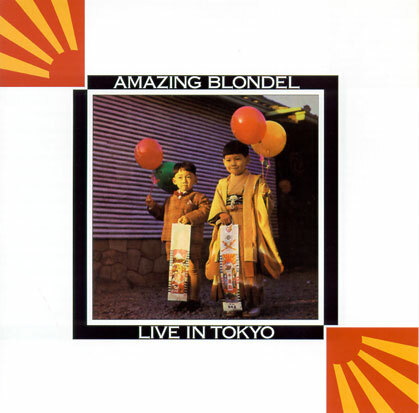 Post a review of AMAZING BLONDEL "Live in Tokyo "